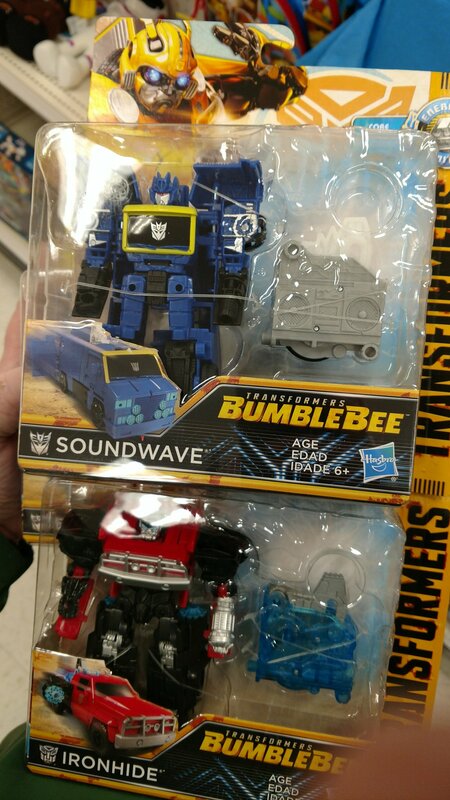 Thanks to TFW2005 user Dilbertron, we have our first US sighting of Power Plus wave 3 Soundwave, and Ironhide. These were found at a Target in Indiana. Happy Hunting and remember to utilize our sightings forums. lol, what part of oklahoma? i saw him at the tulsa/broken arrow border yesterday, thinking he wasn't new. oh well. Ooh,these are out already? Nice. Now I just need to wait for Ratchet and Cliffjumper to saturate as well. I believe these have been found before. They were available online briefly from Target's website, but this is the first retail store sighting. Nevermore's list in the first post suggests no US sighting to date, and he's pretty hot on these things, though.